The Saudi-led coalition fighting in Yemen said that coalition air defense forces shot down a drone over Seiyun city. Colonel Turki al-Maliki, Arab Coalition spokesman, said that at 10:50 p.m. local time on Sunday, the Saudi Royal Air Defense System spotted the drone moving in the direction of a populated area in the Asir region. The drone was shot down before reaching its target and so far nobody had been reported injured by falling debris from the unmanned aerial vehicle, he said. 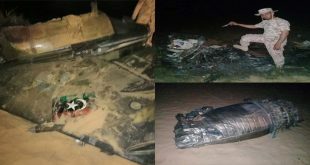 However, when the first images from the crash site were released, it turned out that the coalition air defense shot down one of the Saudi Arabian CH-4B armed reconnaissance medium-altitude long-endurance unmanned aerial vehicle. 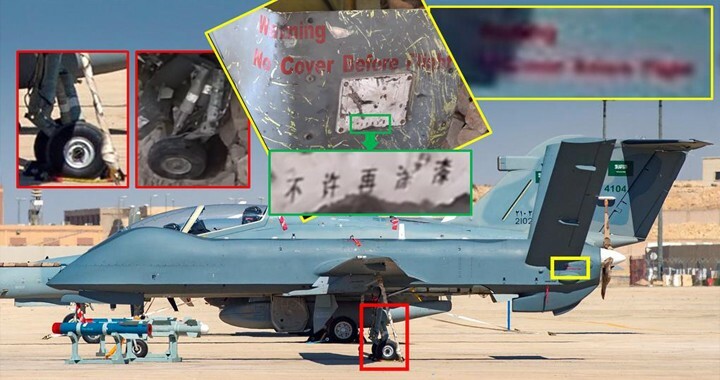 Debris found at the crash site corresponds to a CH-4B UAV developed by the China Aerospace Science and Technology Corporation (CASC) and ordered by the Royal Saudi Air Force. The drone debris fell in the Shahrukh area causing no casualties. Some source reported that drone was shot down from the Patriot air defense system, that Saudi Arabia and the United Arab Emirates were deployed in the controlled territories in Yemen as early as 2015. The CH-4B is a medium-altitude long-endurance unmanned aerial vehicle equipped with a semi-retractable electro-optic turret and synthetic aperture radar. Also, the CH-4B has four underwing pylons, able to mount up to 345kg of stores. Chinese-made armed UAV can carry up to 770 pounds of munitions, including the AR-1 laser-guided air-to-surface missile, TG-100 laser, inertial or FT-9 50kg GPS-guided bomb, and the HJ-10 anti-tank missile. It is specifically designed for high-altitude missions over land and sea and can fire its weapon from up to 5,000 meters.